What makes brows so interesting is that they are unique for every person – different shapes, shades, sizes. No eyebrows are identical, not even your (my) own. You have probably heard this a million times before, but beautifully shaped eyebrows really do frame your face. Thicker, bolder ones are the trend at the moment, which is actually great for me, since mine are naturally quite thick and therefore I have less work to do, but they are still far from perfect. While we can’t all have Cara Delevingne’s (or Kim Kardashian’s if you prefer) perfect bold eyebrows, we can still try to make the best out of what we’ve got by choosing the right products and learning a few tips (I do recommend you to check some Youtube tutorials about “how to shape eyebrows” or visit a professional a few times per year). There is a fine line between defining your eyebrows and drawing them on (and sadly I notice a lot of girls doing the latter), my advice would be to keep it natural and simple. Finding the holy grale of products might be tricky, since there are tons of eyebrow products on the market at the moment, so I decided to share mine with you. 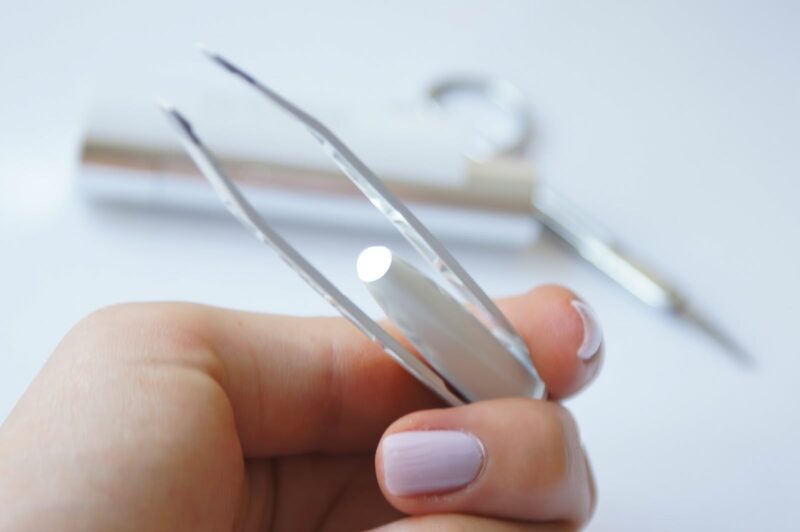 High quality tweezers are an absolute must and a primary tool when it comes to eyebrows. I’ve been using La Tweez Pro Illuminating Tweezers which include an ultra bright LED light to illuminate your eyebrows and making those hairs that are harder to reach more visible. I just cannot imagine my eyebrow plucking routine without them any more! 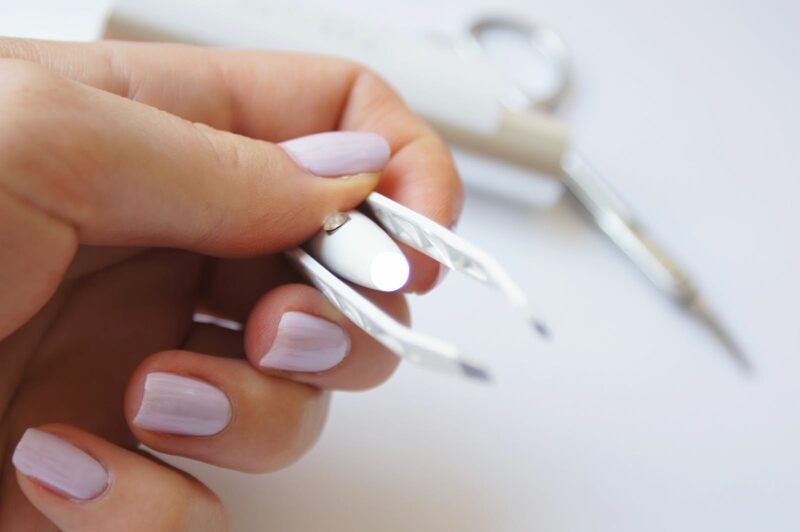 Another product you should add to your eyebrow kit are scissors. Simply brush your hair up using a small comb and trimm the hair above the shape. 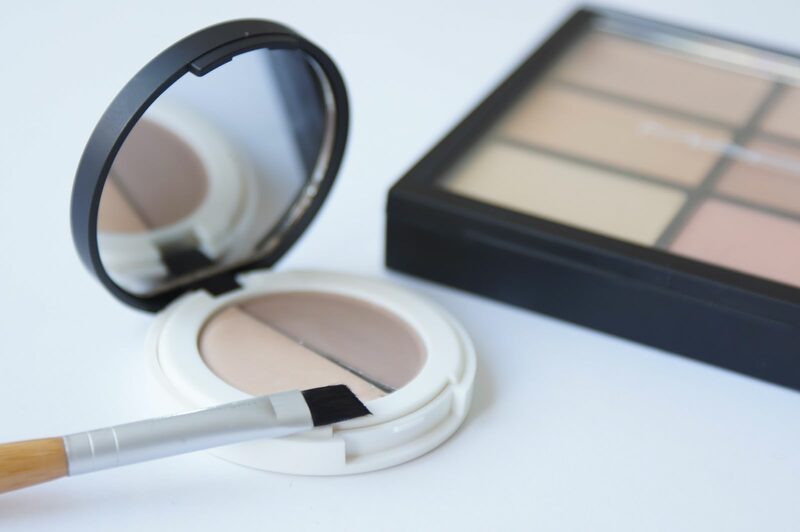 When shopping for eyebrow products, you can go either for a pencil, powder-wax duo, or brow gels… My latest discovery is Lilylolo Eyebrow Duo in Light, which is a duo of pressed powder (to fill in gaps and define brows in natural shades) and a natural wax for precision grooming (to hold brows in place). I use Couleur Caramel angled brush n°10 to apply it. 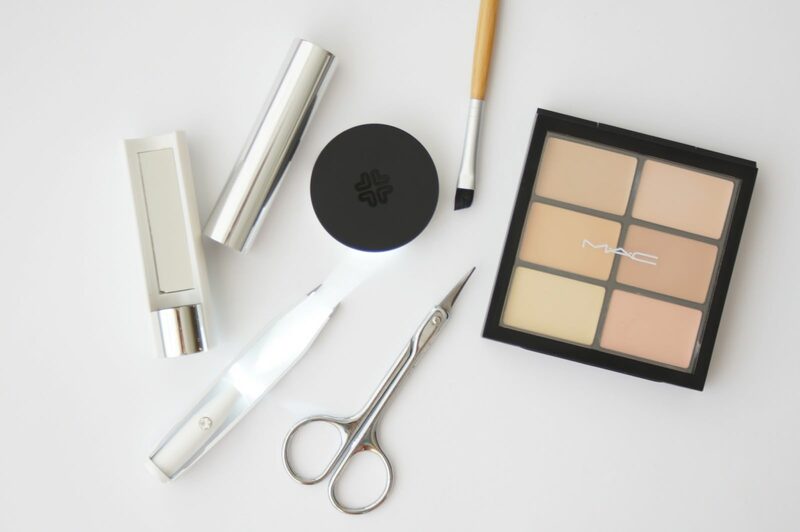 The thing I love about this brush is the fact that it can be used on so many different ways – not only to apply eyebrow powder, but also for applying lipstick and eyeliner. I’ve been using it for eyebrow shaping for a while now. It’s made out of synthetic fibers and it can also be used for wet application. For a bit more intense look, you just dip the end of the brush into water before application. 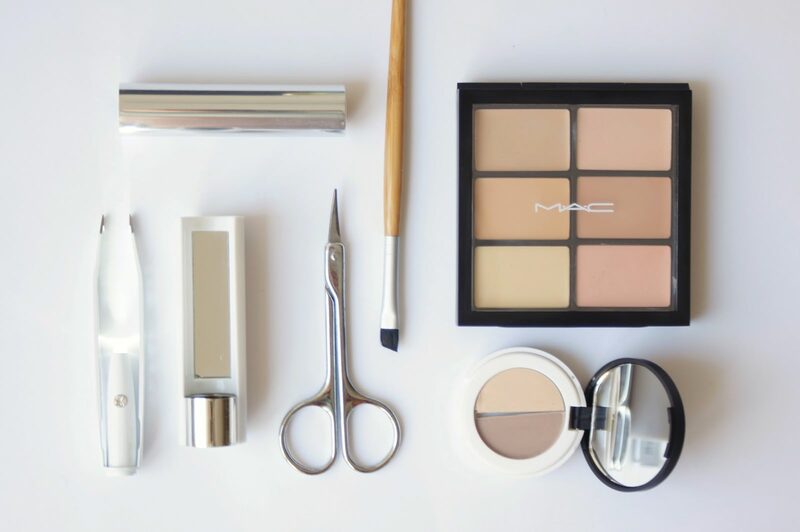 A secret to achieving great brows is also to highlight the brow bone right under it simply by using a light corrector.